It is estimated that women are almost ten times more likely to suffer from thyroid disease than men. As the second most common endocrine disorder, it affects many women in their reproductive years, resulting in higher rates of infertility and pregnancy complications. However, despite these challenges, a successful pregnancy with thyroid issues is possible with a comprehensive management plan. Keep on reading to find out how to manage your thyroid more effectively and increase your chances of becoming a mom of a healthy child. The thyroid gland is an important organ located in the front of the neck, which releases hormones, called T3, T4, and TSH, responsible for regulating metabolism, heart rate, and nervous system functions among many others. When there is too much of them in the blood, the thyroid is overactive, whereas low levels of thyroid hormones make the gland underactive. These hormones play an important role during pregnancy as well, and their imbalance might affect both the baby and the mother. During pregnancy, the normal range of TSH, T3, and T4 is slightly increased by the pregnancy-related hormones, estrogen and human chorionic gonadotropin (hCG). It is, therefore, very important for women with hyper- or hypothyroidism to reach stable thyroid hormone levels prior to getting pregnant in order to prevent complications. Hyperthyroidism, an overactive thyroid, characterized by high thyroid hormones and low TSH. It is most commonly caused by an autoimmune disease called Graves' disease. Hypothyroidism, an underactive thyroid, characterized by low thyroid hormones and high TSH. It is most commonly caused by an autoimmune disease called Hashimoto's disease. 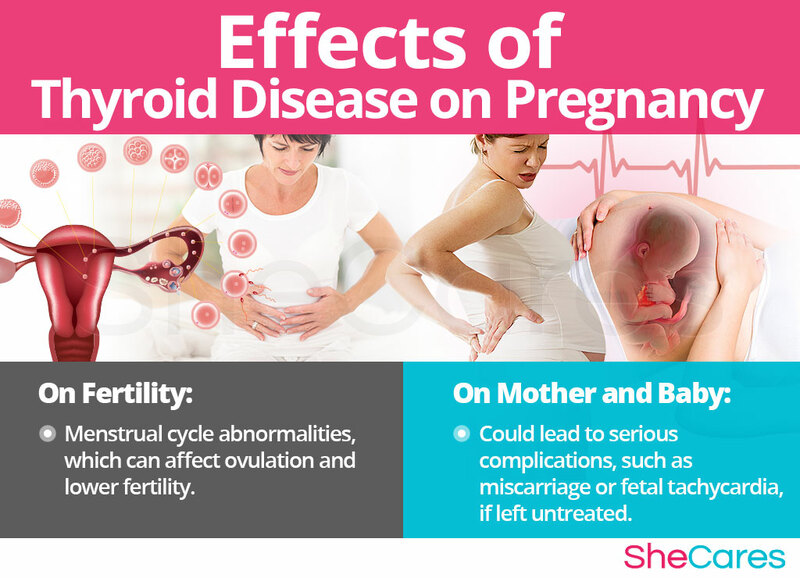 Abnormally high or low levels of thyroid hormones and TSH have been shown to cause menstrual cycle irregularities, thus making conception challenging. Poorly controlled thyroid disease might lead to potentially serious complications, including preeclampsia, premature birth, or miscarriage. An over- or underactive thyroid during pregnancy might also affect the baby and inhibit its development. 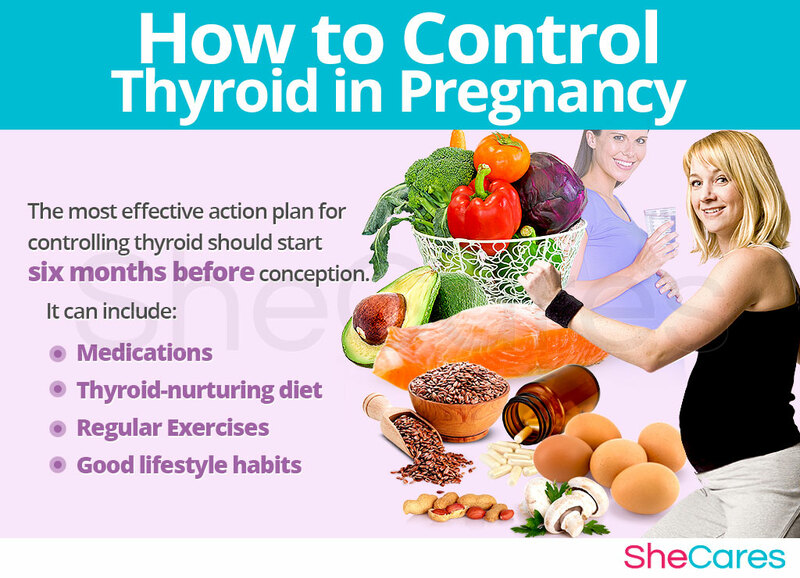 Read more about preparing for pregnancy with hyperthyroidism and hypothyroidism. 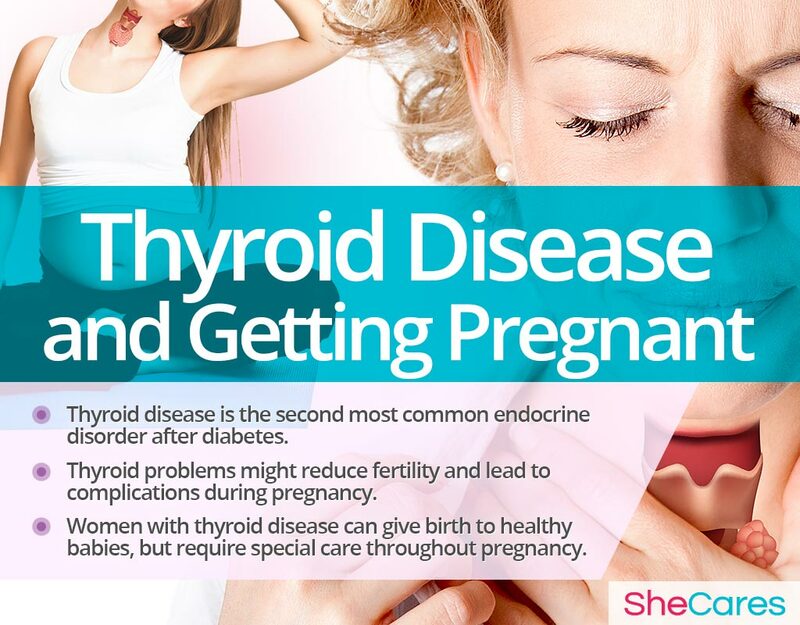 It is a serious dilemma for many women of childbearing age: how to get pregnant with thyroid problems. Studies revealing the link between the thyroid and infertility or pregnancy complications can surely cause a lot of stress and emotional disturbance. 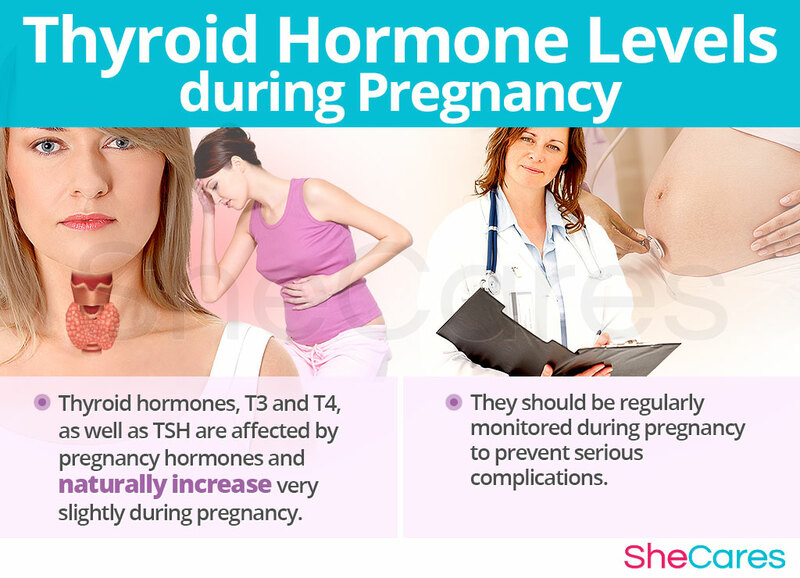 Fortunately, women suffering from endocrine issues can successfully get pregnant and - with proper management -reduce the negative effects of their disorder on their babies to a minimum.